Howdy guys. Monday's already halfway over - yay? Hope everyone had a wonderful weekend. I got to go to Austin (wahoo!) for a spectacular wedding, and I really did not want to come back. I miss that place so much. It goes without saying that an out of town wedding makes for a very tired Monday. To motivate myself to get in a good workout today, I've added a some new (and old) songs to my current workout playlist. I figured you guys might be looking for some new jams too, so hopefully you can find something you like on the list below. All of these are available on itunes. My current fave is the Icona Pop song, which I heard on Girls last night and immediately downloaded. A show that makes me laugh and gives me new music. Winning. There is a broad mix of genres on this list including middle school punk rock, country, and Spanish pop. Take what you like and leave what you don’t. I like to listen to some odd things when working out. You have been warned. Before I recap last week in fitness, I want to share some recent Craig's List finds with you to demonstrate how easy it can be to find great stuff on The List. For all of the items below I went to the furniture page on CL and typed "regency" into the search bar. Seriously, so easy. I have the Craig's List app on my phone, which is AWESOME, and I always search Houston, Dallas and Austin juuust in case. Since I could pretty easily get something from Austin or Dallas if I loved it enough, I like to keep my searches as wide as possible. I also always filter to only those items sold "by owner" to get rid of the spammy "by dealer" items. Just a little tip to make your searches easier. Side note: if you don't already have the CL app and you search Craig's List a decent amount, I highly recommend it. 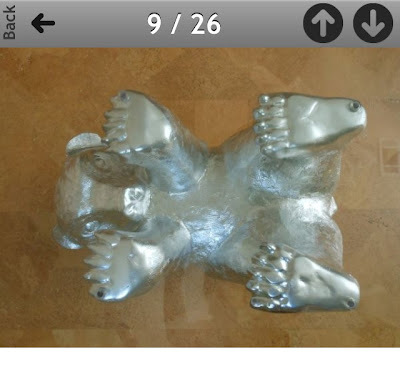 It let's you see the images of the items along with the descriptions on the main page. 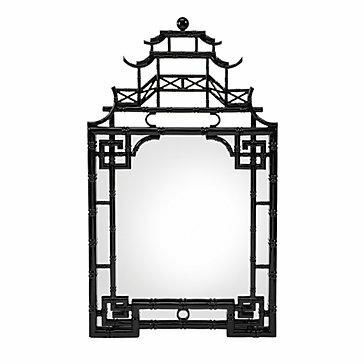 This prevents you from wasting precious time opening posts with great descriptions only to find out they are actually held-up-by-a-lying-down-metal-bear tables that have been described as "hollywood regency" and "restoration hardware" to get more hits. Craig's List sellers are a sneaky bunch. P.S. I am renting a U-Haul and driving to Dallas. They have the best CL finds. So unfair! P.P.S. Links to the original CL post below each pic. 1. 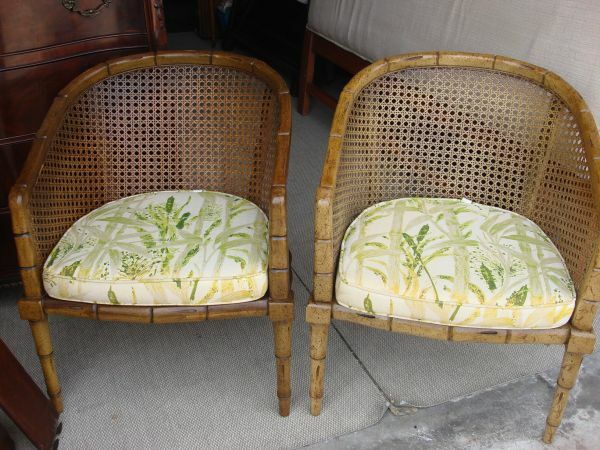 Bamboo Chairs ($140) - I would definitely recover these, maybe in something like this or this, but I think the shape is really cute and versatile. 2. Pagoda Mirror ($299) - This could easily be spray painted if you wanted to change the color, but I like the black in the right setting and the style is awesome. The large scale is another plus. 3. 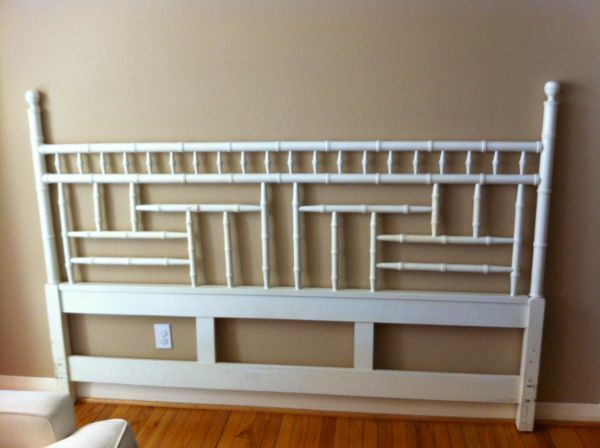 Bamboo Headboard ($500) - I think this would look great in a room with all white furniture and some colorful fabrics and accents. 4. 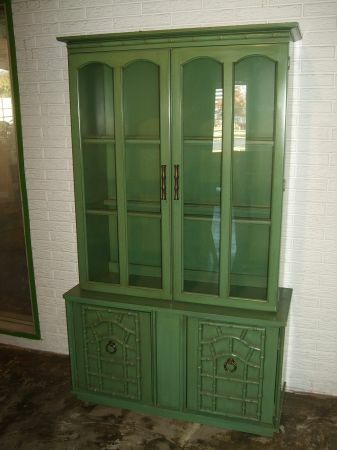 China Cabinet ($500) - LOVE the shape of this cabinet and all of the bamboo detail on the bottom doors. This wouldn't have been my first choice in color, but it could work in the right setting or be changed to something like white or fire engine red. 5. 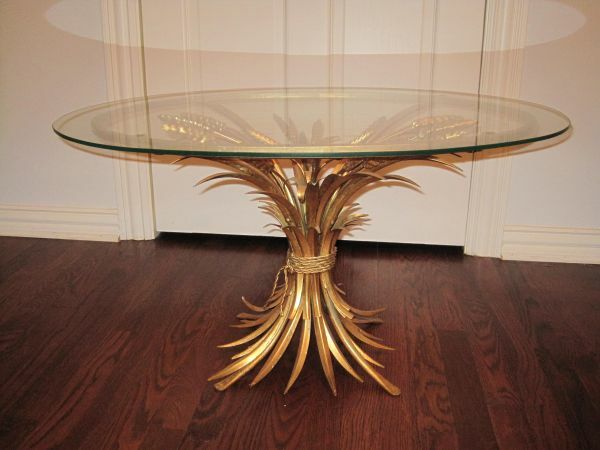 Wheat Sheaf Table ($300) - I have been obsessed with these tables ever since seeing this post on La Dolce Vita. The price on this is incredible, and the look is spot on! 6. Bar Cart ($380) - Bar carts are all the rage these days, and while I don't really have a place for one in my apartment I definitely like the idea. I like this one a lot, and the price is not bad considering how much these usually go for. I still might try to negotiate it down though - never hurts to try! 7. Sphere Lamps ($110 each) - The last thing I need is another lamp, but I seriously want these. They are so unique and different, yet I could see them mixing well with a variety of styles. Who's coming with me to Dallas?!? As promised, last week in fitness below. I leave for Jackson Hole on Thursday, so I'm going to do my best to fit in as much fitness as I can before I leave. Cheers to a 3-day workweek! 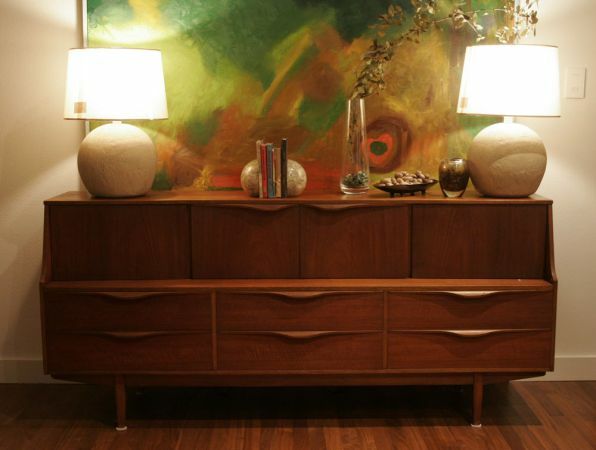 What is your favorite of the seven Craig's List items listed above? 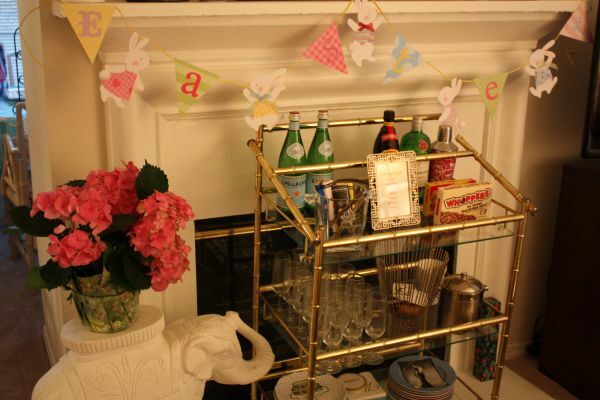 Do you have a bar cart in your home? If so, where did you find it? i want that bamboo headboard or something like it - why so expensy?? btw, craigslist odessa and craigslist lubbock are nowhere close to these finds.